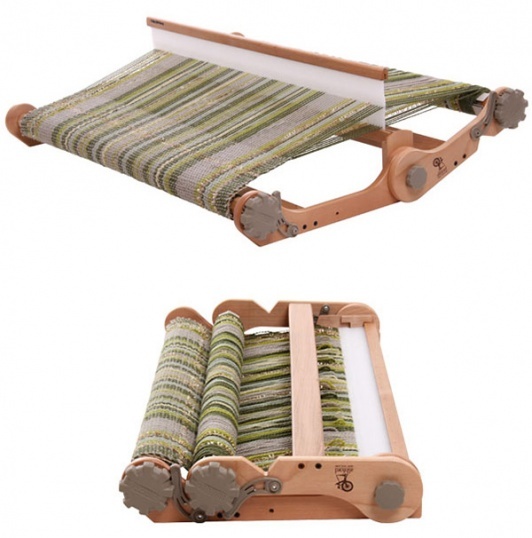 The Ashford folding rigid heddle loom. 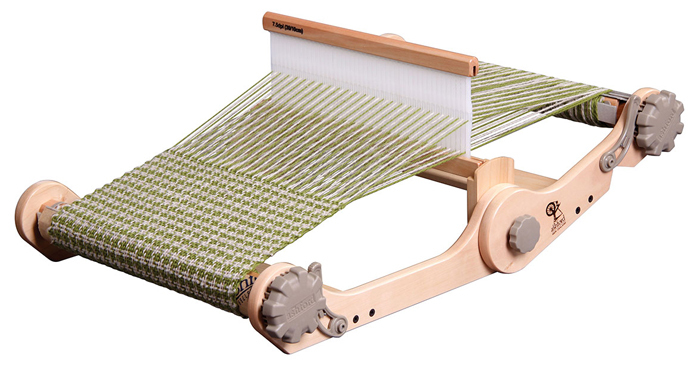 The flexibility of the Knitters Loom means you can be weaving in your lunch break, textile groups or when visiting friends. 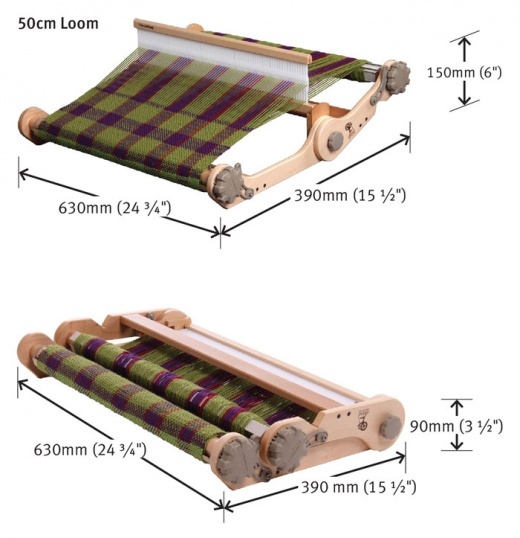 Three great weaving widths 30cm, 50cm and 70cm (12ins, 20ins and 28ins). 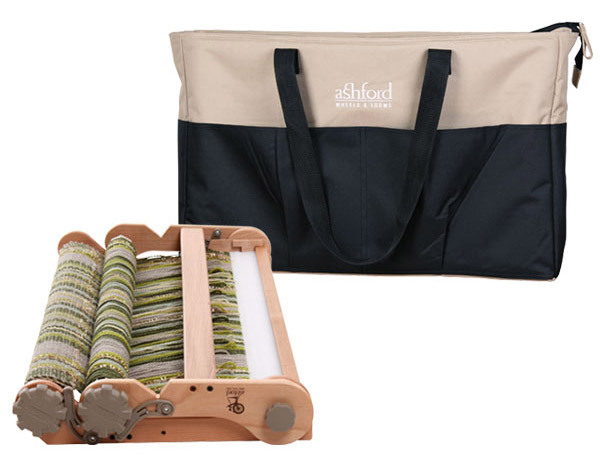 The loom is ultra portable being lightweight, compact and folds in half – even with your weaving in place. Fast - from yarn to scarf in two hours. 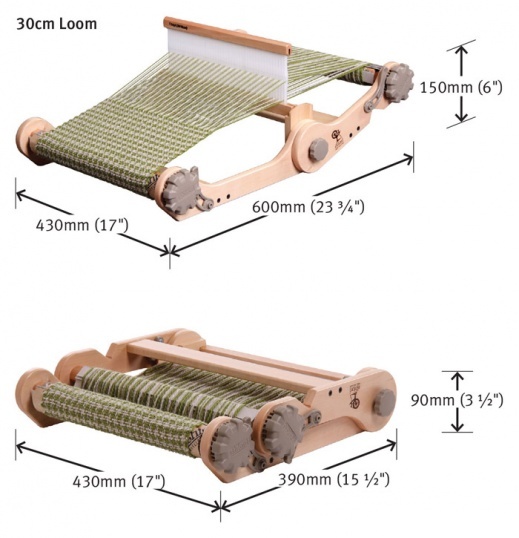 Easy - a loom that is simple to understand and operate with nylon warp stick ties, handles, cogs and pawls. Weave fancy yarns with the wide-eye 7.5dpi (30/10) reed. 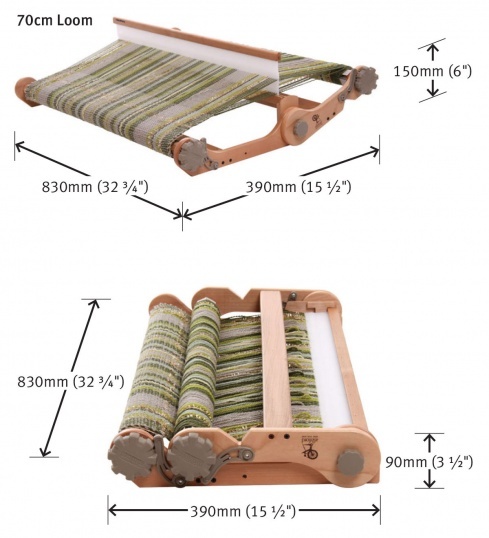 The loom is made from Silver Beech hard wood and comes assembled and lacquered, with all the warping tools – ready to use.